Native foods table accent by Jessica Gokey, 2014. 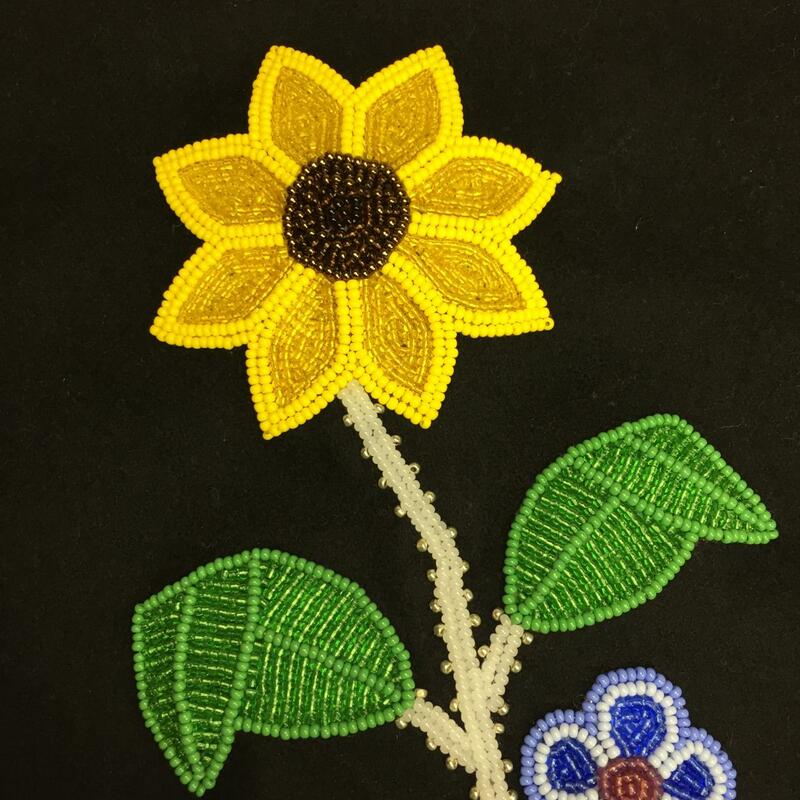 2014-15 Native American Artist-in-Residence Jessica Gokey (Lac Courte Oreilles Band of Lake Superior Ojibwe) was inspired by the beadwork in our collections and the revitalization of indigenous foods to create this table accent. 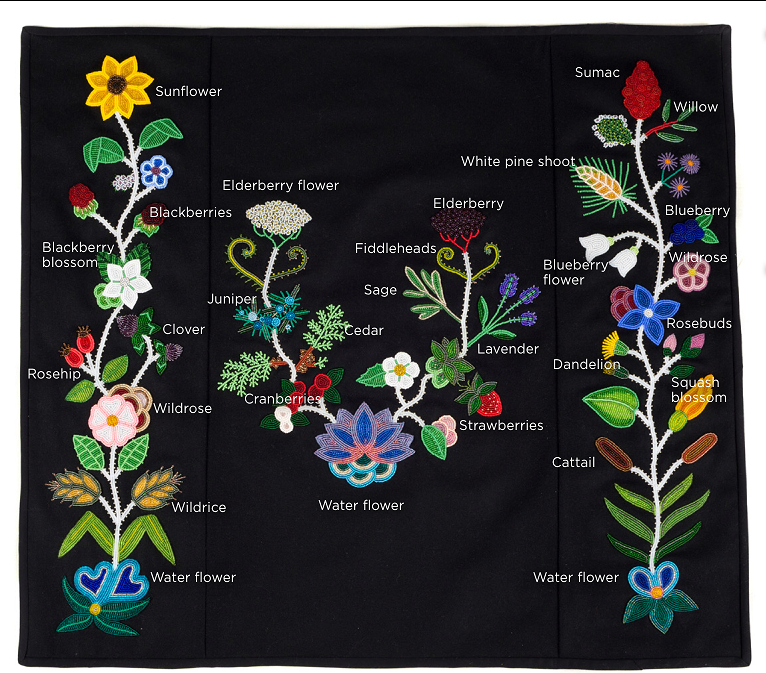 With over 25 different flowers, berries and plants from the Great Lakes area, the table accent represents the many traditions of Native American people in the region. To learn more about the Native American Artist-in-Residence program, visit our site. 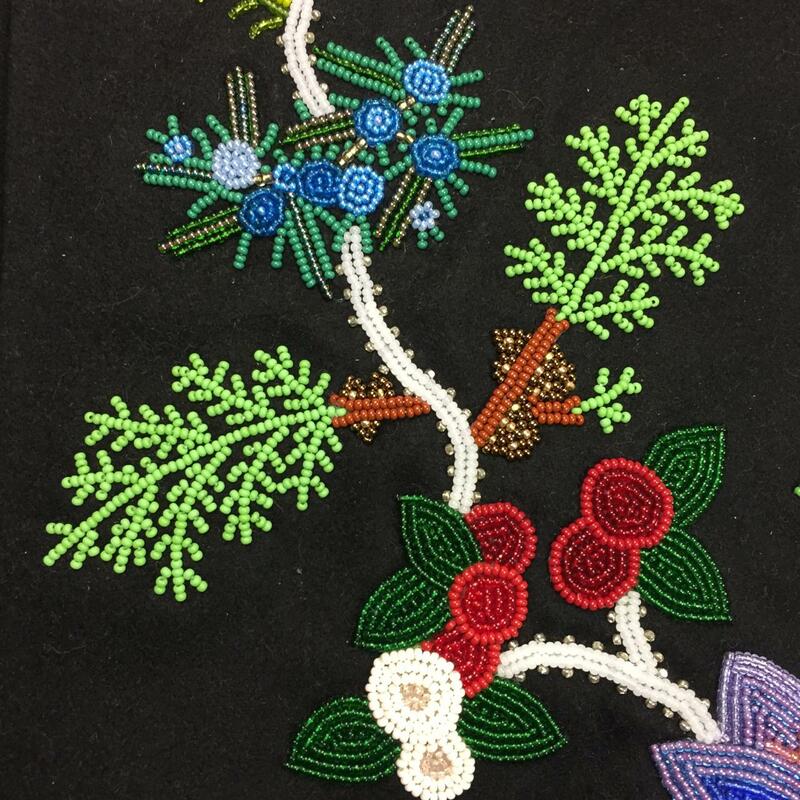 Close up of juniper, cedar and cranberries.